Click photo to download. Caption: The Iron Dome battery in Eilat, which on Tuesday intercepted a rocket launched by a Palestinian terrorist group for the first time. Credit: Flash90. Hours after a Grad rocket was intercepted by an Israeli Iron Dome battery in the southern city of Eilat for the first time, a Salafi Palestinian terror organization claimed responsibility for the attack. The group claimed the rocket attack was in retaliation for a weekend drone strike, attributed to Israel by foreign media, which killed four Palestinian terrorists as they were readying to launch a rocket into Israel. The group posted its message on social media networks and via Egyptian media outlets. Israel’s Channel 2 network quoted a source close to global jihad in Sinai as saying that a Grad rocket that was fired into Eilat on Monday was the same rocket that was supposed to be launched on Thursday, before the drone strike in Rafah. “The organization that came under attack managed to transfer the rocket to a secret location, and then to the spot where it was launched toward Eilat,” the source said. On Tuesday, the Iron Dome anti-rocket defense system intercepted the rocket bound for Eilat. No one was wounded, and the explosion caused no damage. Security forces rushed to Eilat after loud explosions were heard over the city at 1 a.m. Tuesday. 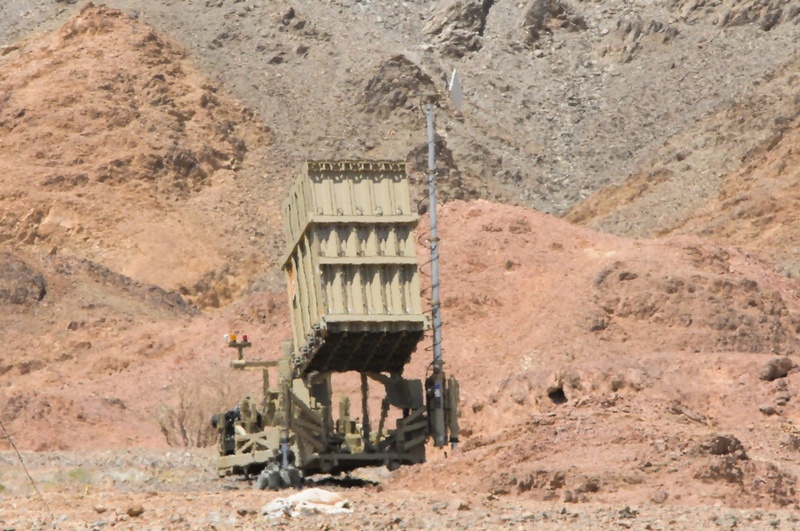 Preliminary investigations showed that the Grad rocket had been fired from the Sinai Peninsula as part of a salvo of rockets fired toward Eilat. The Iron Dome only intercepted the rocket that was calculated to have been heading toward a populated area. Many residents of Eilat reported hearing a loud whistling noise. “We heard a siren and immediately afterward we saw the interception in the sky. The explosion looked like flares being fired, and we immediately understood it was an Iron Dome interception,” Eilat resident Aya Plashkes said. The IDF Spokesperson’s Office confirmed that it was Iron Dome’s first successful interception in Eilat. The rocket attack came as Israeli-Palestinian conflict negotiations were set to resume on Wednesday in Jerusalem. This story originally appeared in Israel Hayom, whose English-language content is distributed exclusively by JNS.org. Posted on August 13, 2013 by JNS.org and filed under News, Israel.